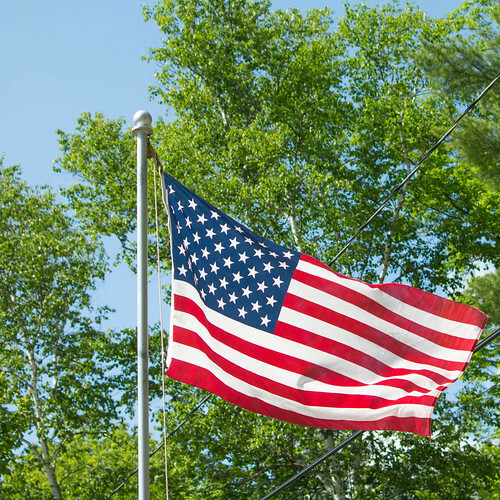 I can't believe it's already Flag Day here in the US... Where is the time going? Is it just me, or does it seem like every day is flying by faster and faster?! I just want to grab ahold of Time and make it slow down a bit! Anyways, I hope you all have a great weekend, and stop by Saturday to see the results of the giveaway! Such a beautiful flag flying proudly in the wind! I know what you mean about time flying, I find it flies when I do a lot of things I really enjoy doing. When I take the time (everything is based on time it seems!) to just 'be', time loses its power over me. Taking time to pause works wonders! Have a lovely weekend, Kate! Thanks for this wonderful shot and reminder. Whenever my husband and I go to the Seahawks games and stand for the national anthem it always puts a lump in my throat watching the flag fly. Happy weekend! Great picture. We had a beautiful, sunny, flag day here. Hope your day was a good one.